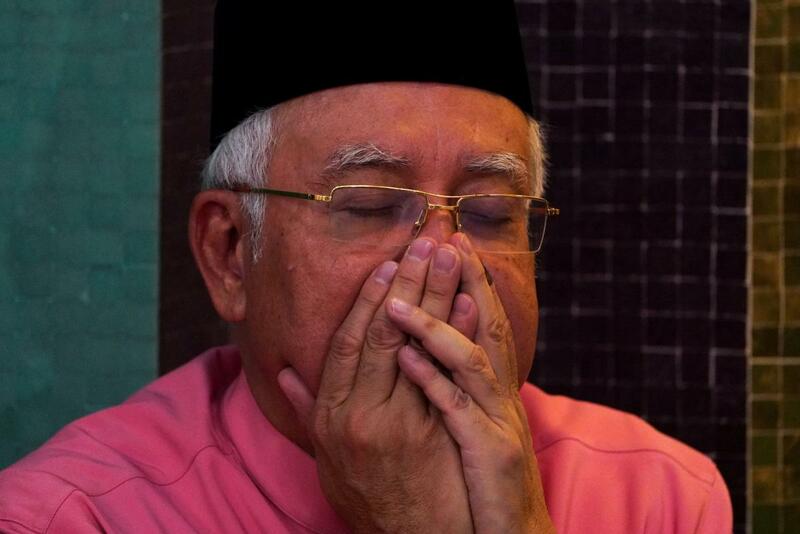 KUALA LUMPUR: Malaysian police on Thursday searched ousted Prime Minister Najib Razak’s home and other places linked to him in connection with an investigation into the scandal-plagued state fund 1Malaysia Development Berhad (1MDB). US authorities allege that more than $4.5 billion was stolen from 1MDB in a fraud orchestrated by a financier known to be close to Najib and his family. US Attorney-General Jeff Sessions has called the 1MDB scandal “kleptocracy at its worst”. Filings by the US Justice Department in a civil lawsuit indicated nearly $30 million of the money stolen was used to buy jewelry for the prime minister’s wife, including a rare 22-carat pink diamond set in a necklace.